The Media of Mass Communication encourages students to explore the latest economic, technological, cultural, and political shifts in media through a historical context. Author John Vivian prompts students to analyze ongoing transformations in mass media, examining the various ways in which it impacts the world as they hone their media literacy skills. The Twelfth Edition offers updated coverage of new trends in the field and the impact of social media, ensuring a contemporary learning experience for students. 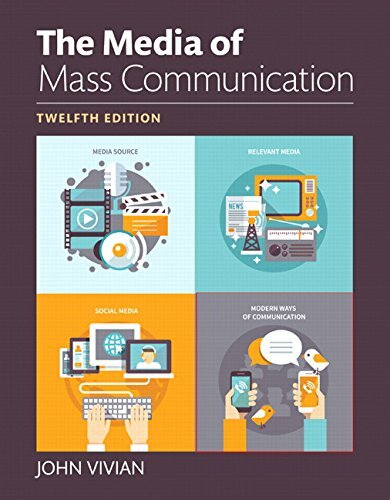 The Media of Mass Communication, Twelfth Edition is also available via REVEL™, an interactive learning environment that enables students to read, practice, and study in one continuous experience.